In a pot, stir the flour and oil until smooth. 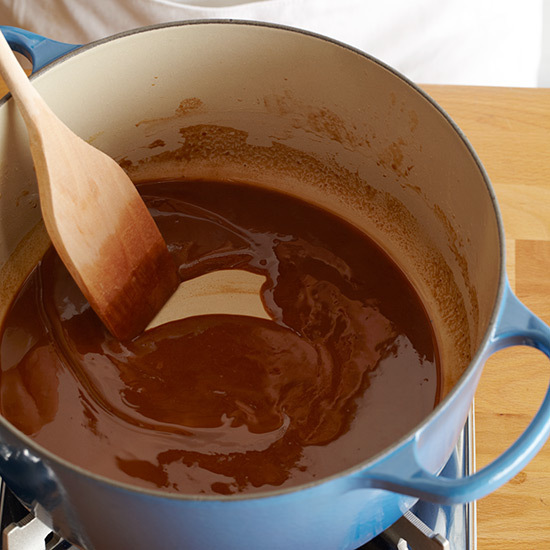 Cook over moderate heat, stirring often, until the roux turns a rich brown color, about 15 minutes. 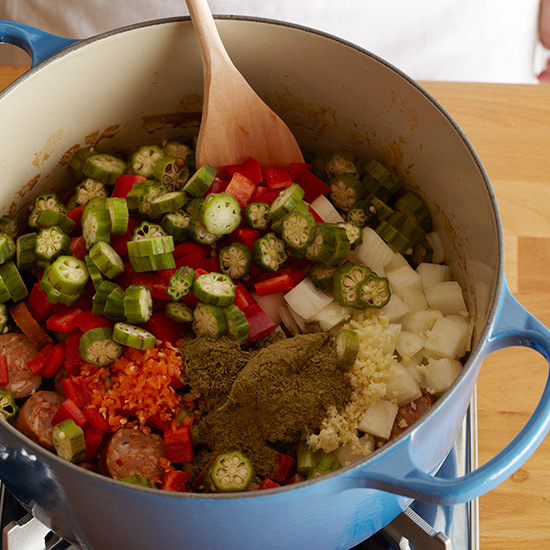 Add the andouille, celery, onion, bell pepper, habanero, garlic, okra, thyme, bay leaf and half of the filé powder and cook over moderate heat, stirring, until the onion is translucent. Add the stock, clam juice, Worcestershire and tomatoes; bring to a boil. 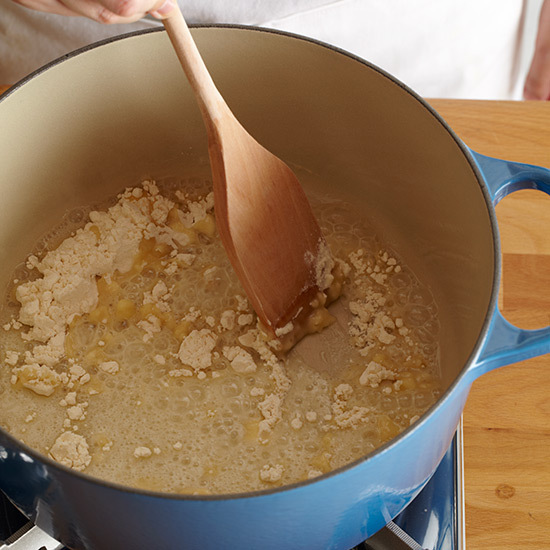 Reduce the heat to low and simmer for 1 hour, stirring. 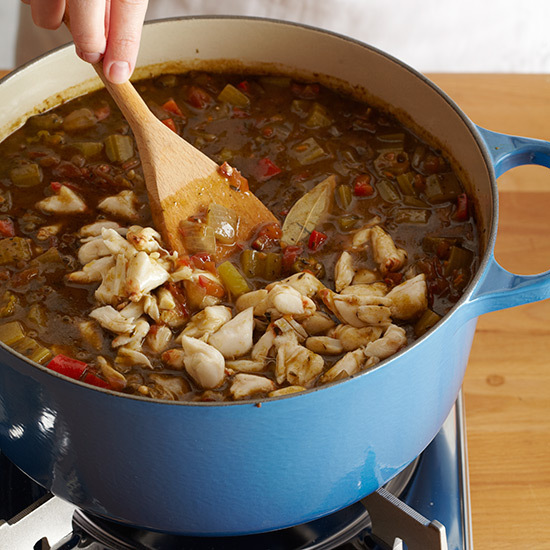 Stir in the remaining filé powder and add the crab, oysters and their liquor. 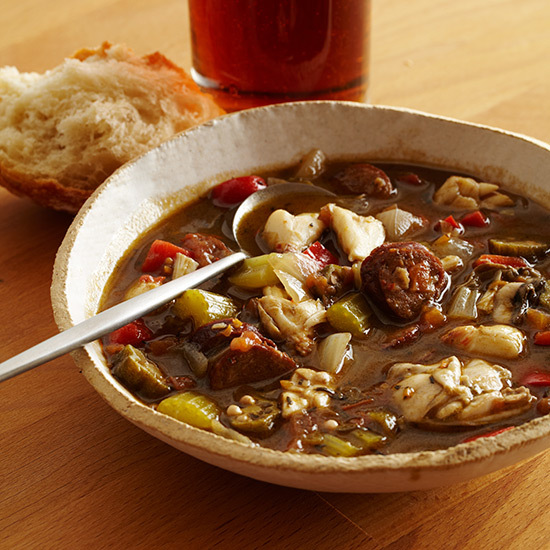 Season with salt and pepper and simmer gently for 1 minute to just cook the oysters.